The 2015-2020 Dietary Guidelines for Americans recommend choosing a variety of nutrient-dense foods, including fruits like cranberries, which contain essential vitamins and minerals, dietary fiber and other naturally occurring compounds that may have potential health benefits. 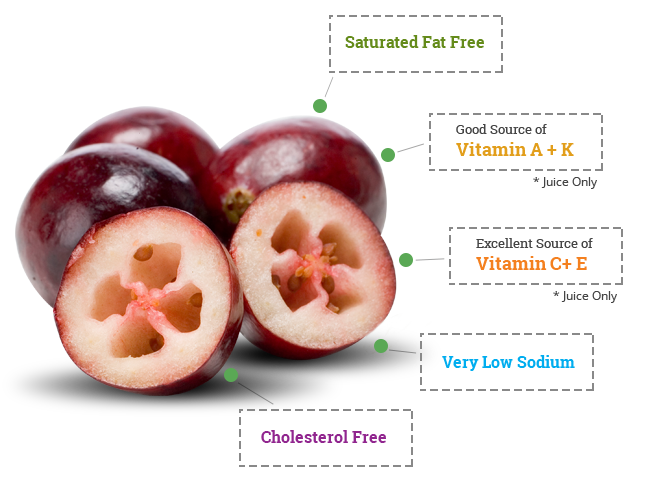 Cranberry products contain polyphenol antioxidants. Cranberry juice is an excellent source of antioxidant vitamins C and E. Some scientific evidence suggests that consumption of antioxidant vitamins may reduce the risk of certain forms of cancer. However, FDA has determined that this evidence is limited and not conclusive. 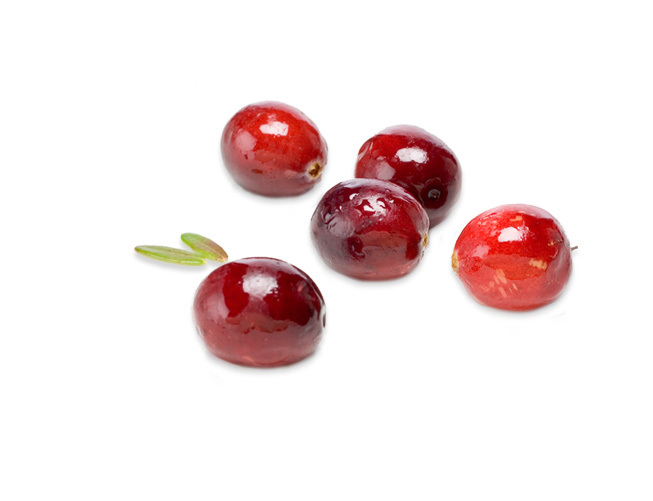 Cranberry products are usually sweetened because, unlike other berries, cranberries are naturally low in sugar and high in acidity, making them especially tart. The Dietary Guidelines allow for a limited amount of added sugar to improve palatability and recommends less than 10 percent of calories per day be from added sugar. 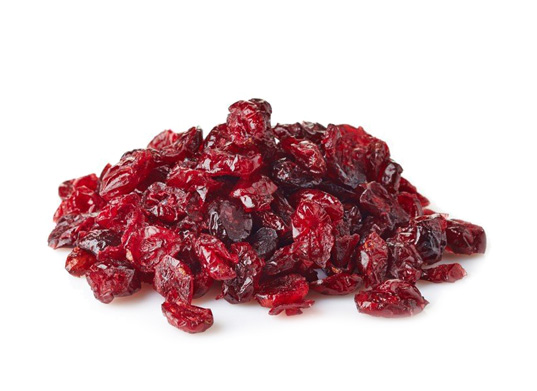 The total amount of sugar in dried cranberries is similar to that of other dried fruit. Fruit, in all forms, provides vitamins and minerals as well as dietary fiber. By the nature of how it is made, dried fruit offers more concentrated nutrients than fresh fruit, allowing a smaller amount of dried fruit to provide similar benefits to a larger quantity of fresh fruit. Both the 2015-2020 Dietary Guidelines for Americans and MyPlate recognize ½ cup of dried fruit as equivalent to a 1 cup serving of fruit. These recommendations were made based on the nutrition contribution of this quantity of dried fruit, compared to fresh alternatives. 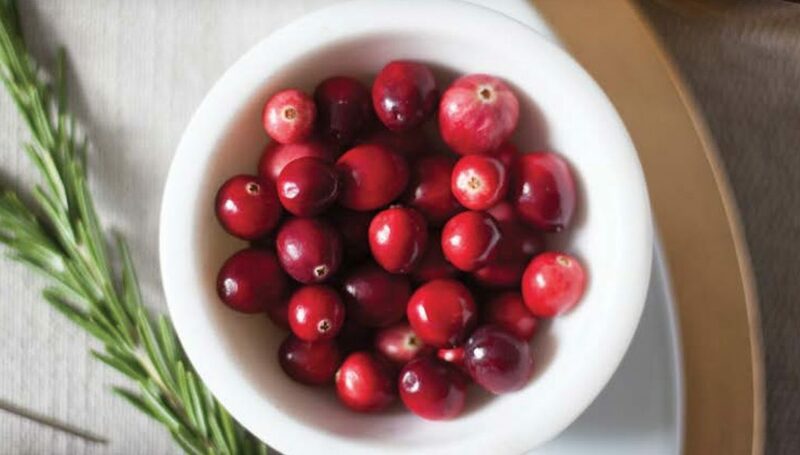 Cranberries are a source of dietary phenolic bioactives, including particularly flavan-3-ols, A-type proanthocyanidins, anthocyanins, benzoic acid and ursolic acid, and a unique profile of all six members of the anthocyanidin family.2 While the results of these studies show promising outcomes, these are not conclusive. Further human clinical trials are needed to fully understand the effects on humans. Halvorsen, BL, Carlsen MH, Phillips KM, Bohn, SK, Holte K, Jacobs DR, and Blomho R. Content of redox-active compounds (ie, antioxidants) in foods consumed in the United States. Am J Clin Nutr. 2006;84:95-135. Feghali K, Feldman M, La VD, Santos J, Grenier D. Cranberry proanthocyanidins: natural weapons against periodontal diseases. J Agric Food Chem. 2012;60(23):5728–5735. Neto CC. Cranberry and blueberry: evidence for protective effects against cancer and vascular diseases. Mol Nutr Food Res. 2007;51(6):652-64. Neto CC, Amoroso JW, Liberty AM. Anticancer activities of cranberry phytochemicals: an update. Mol Nutr Food Res. 2008;52(Suppl 1):S18-27. Roy S, Khanna S, Alessio HM, Vider J, Bagchi D, Bagchi M, Sen CK. Anti-angiogenic property of edible berries. Free Radic Res. 2002;36(9):1023-31. Babich H, Ickow IM, Weisburg JH, Zuckerbraun HL, Schuck AG. Cranberry juice extract, a mild prooxidant with cytotoxic properties independent of reactive oxygen species. Phytother Res. 2012;26(9):1358-1365. Liu H, Liu H, Wang W, Khoo C, Taylor J, Gu L. Cranberry phytochemicals inhibit glycation of human hemoglobin and serum albumin by scavenging reactive carbonyls. Food Funct. 2011;2:475–482. da Silva Pinto M, Ghaedian R, Shinde R, Shetty K. Potential of Cranberry Powder for Management of Hyperglycemia Using In Vitro Models. J Med Food. 2010;13(5):1036–1044. Shmuely H, Ofek I, Weiss EI, Rones Z, Houri-Haddad Y. Cranberry components for the therapy of infectious disease. Curr Opin Biotech. 2012;23:148–152. Gotteland M, Andrews M, Toledo M, Munoz L, Caceres P, Anziani A, Wittig E, Speisky H, Salazar G. Modulation of Helicobacter pylori colonization with cranberry juice and Lactobacillus johnsonii La1 in children. Nutrition. 2008;24(5):421-426. Zhang L, Ma J, Pan K, Go VL, Chen J, You WC. Efficacy of cranberry juice on Helicobacter pylori infection: a double-blind, randomized placebo-controlled trial. Helicobacter. 2005;10(2):139-45.